Could Leonardo da Vinci's wonky eye explain his artistic genius? A UK analysis of six pictures and sculptures portraying Leonardo da Vinci suggests he may have had a condition called exotropia - a misalignment of the eyes that causes them to look outward (the opposite of being cross-eyed). This could have bestowed upon him an extraordinary ability to depict three-dimensional reality on a two-dimensional canvas, suggests the author, because he may have been able to suppress the vision from one eye, and it could explain why his landscapes have such depth. If that suggestion leaves you wide-eyed in disbelief, Leonardo is not the first celebrated artist thought to have suffered from eye misalignment - Rembrandt, Degas and Picasso are believed to have had wonky eyes too. Did Leonardo da Vinci Have a Vision Disorder That May Have Helped Him Capture Space on a Flat Canvas? Beginning with Rembrandt, a number of famous artists have been identified as having strabismus, a misalignment of the eyes. Some forms of eye misalignment are thought to be beneficial for artistic work by suppressing the deviating eye, which provides 2-dimensional monocular vision advantageous to painting and drawing. 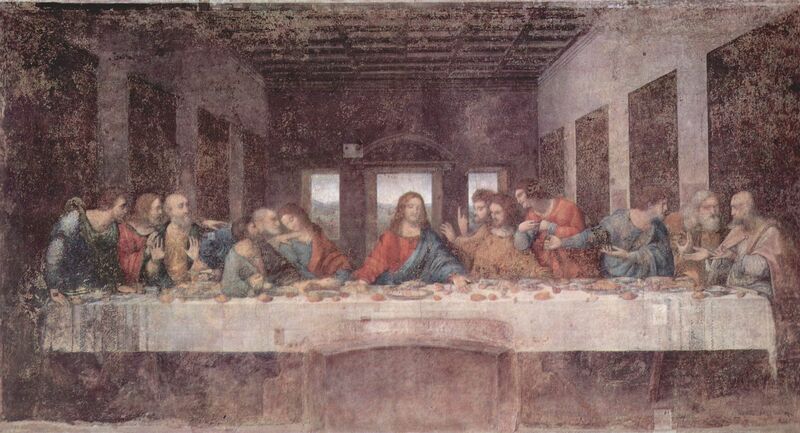 In this study, images considered to be of Leonardo da Vinci (sculptures, oil paintings and drawings) were analyzed. The author found evidence that suggests da Vinci may have had intermittent exotropia (a tendency for the outward turn of an eye). This would result in a capability to switch to monocular vision, which may help to explain his ability to depict the 3-dimensional aspects of faces and objects in the world and the distant depth of mountainous scenes.